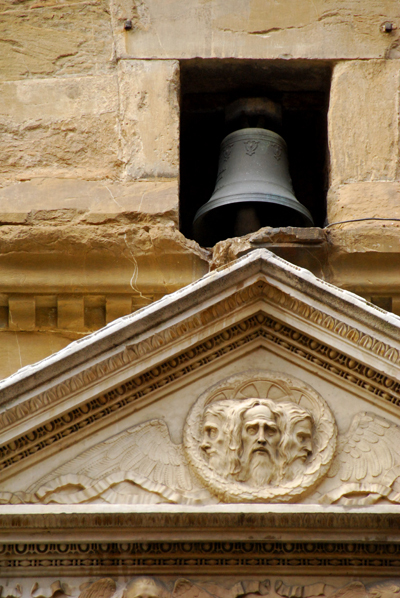 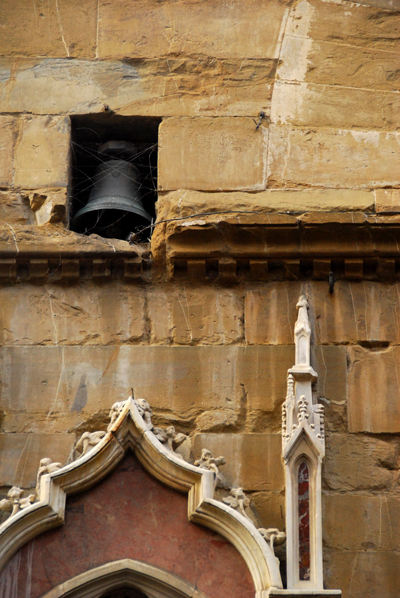 I had my first decent sleep in, not waking until after 10, not even the church bells could rouse me. 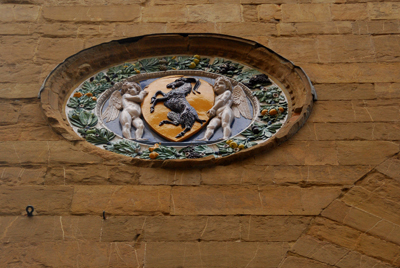 I've had another good look at the Italian Post site and finally found all the addresses of the offices in Florence. 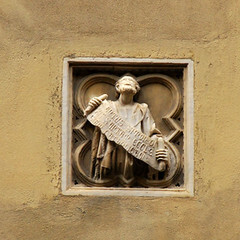 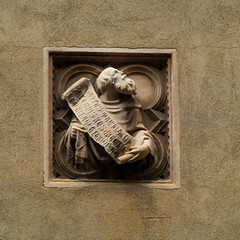 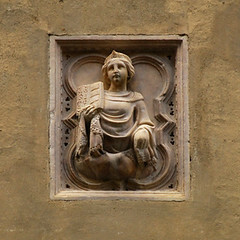 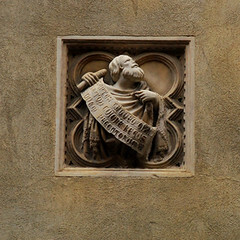 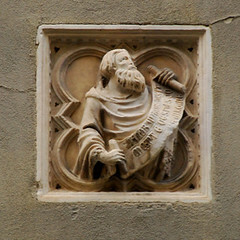 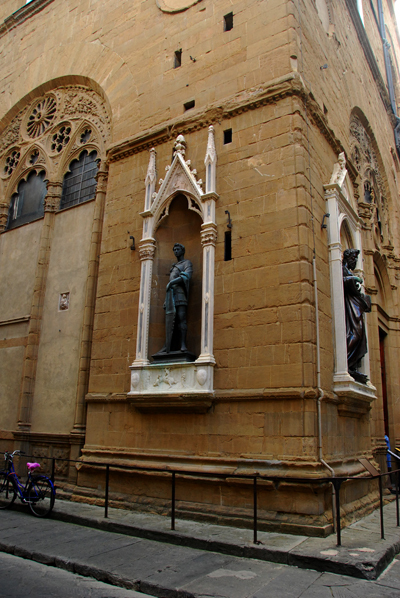 There is one just past the Orsanmichele so I'll kill two birds with one stone - find out where exactly the post office is and photograph the Orsanmichele. 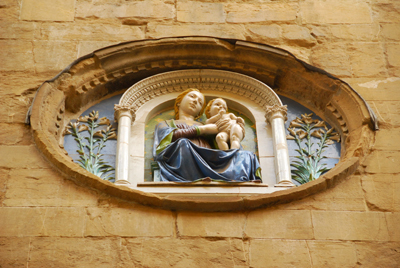 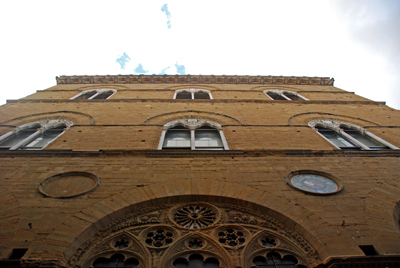 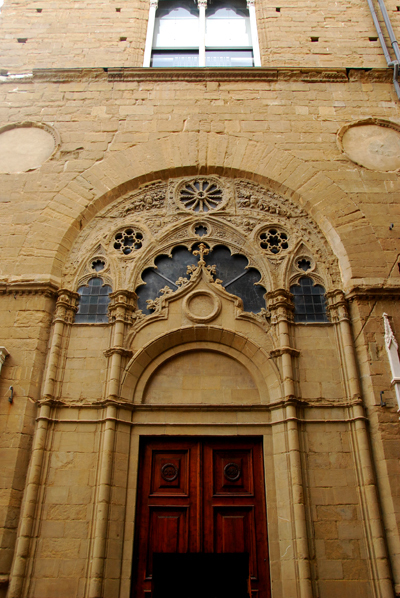 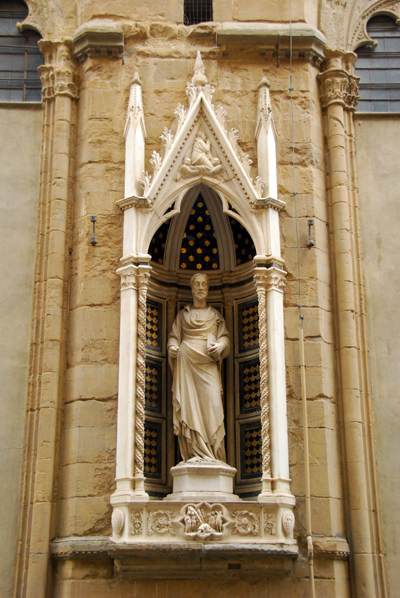 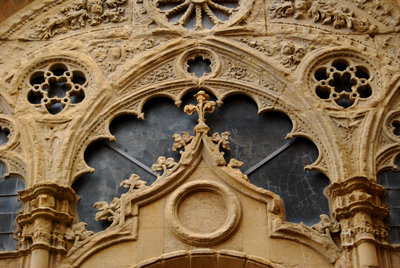 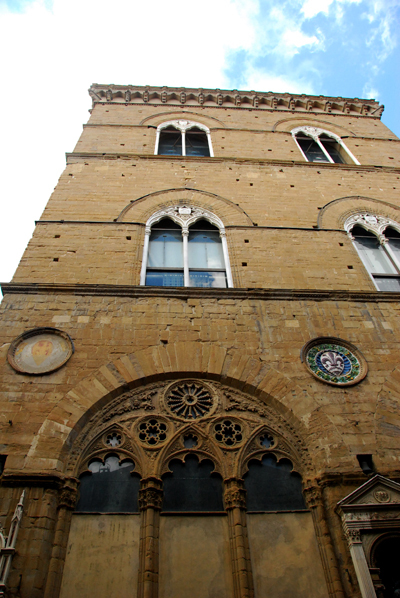 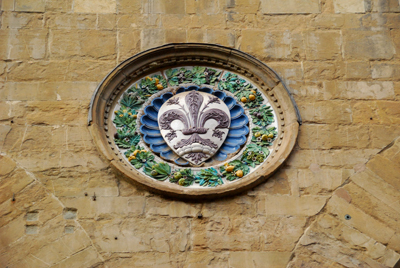 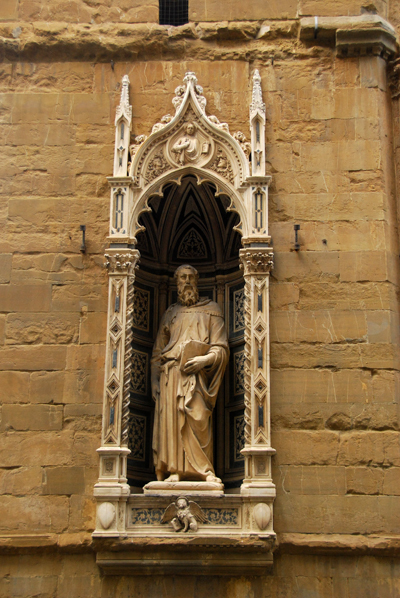 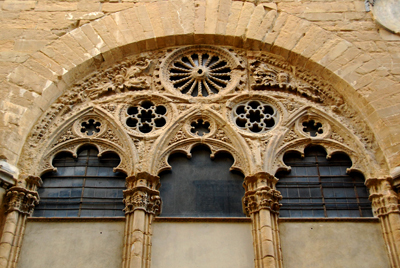 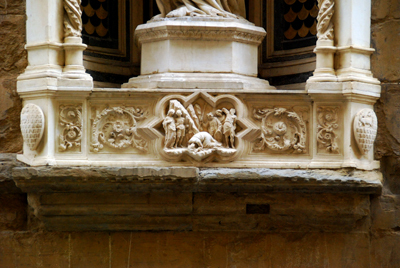 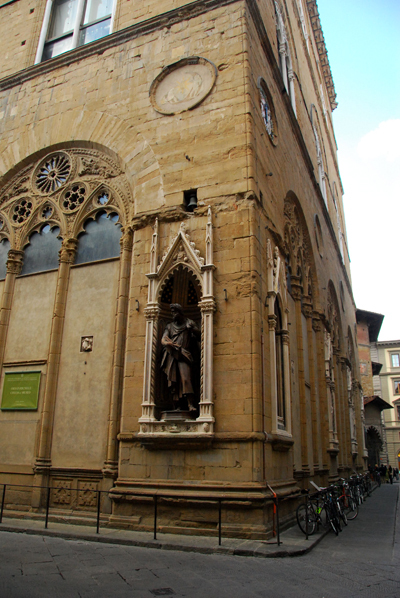 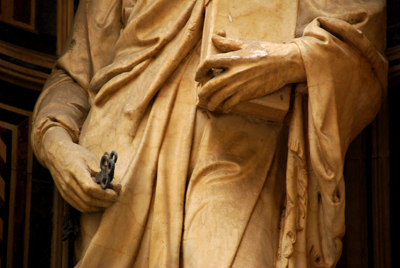 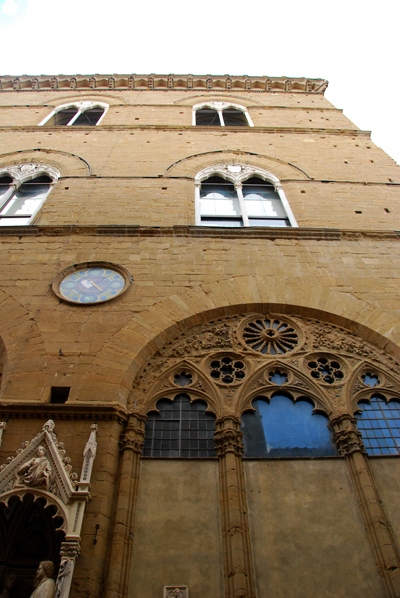 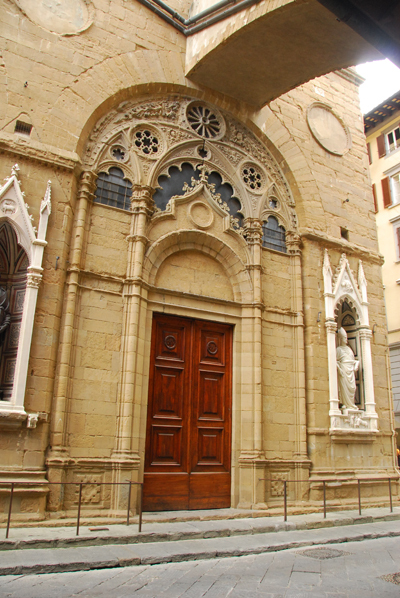 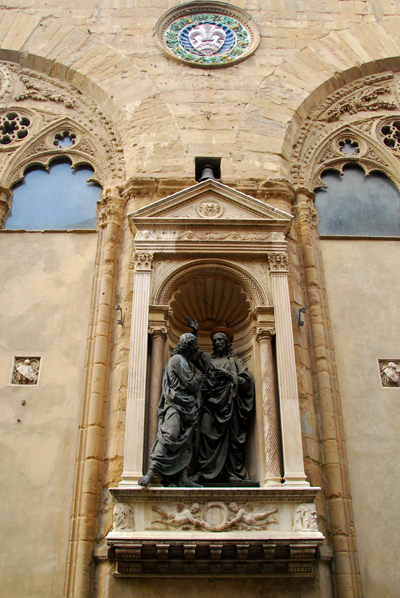 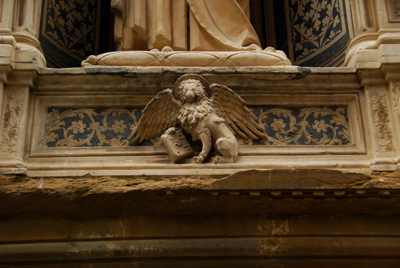 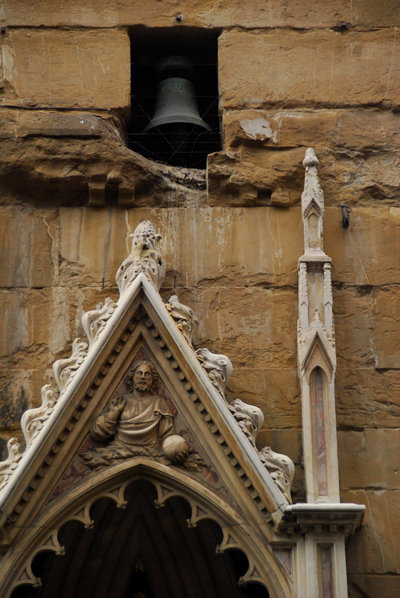 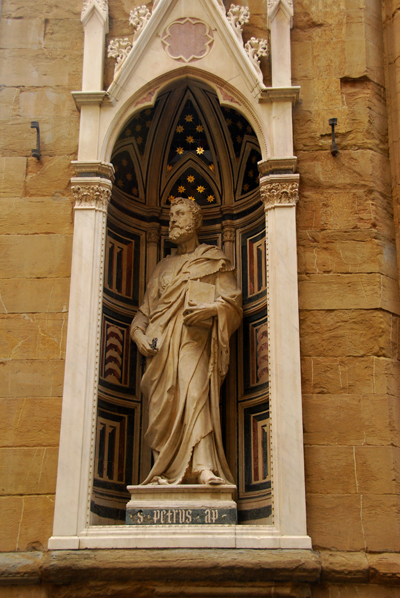 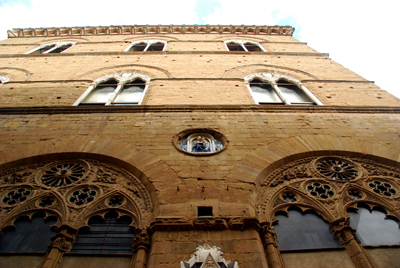 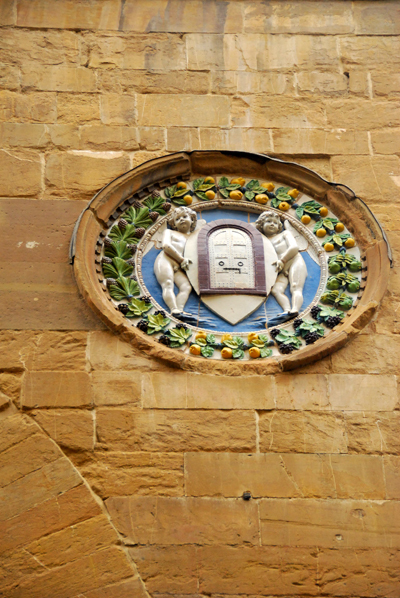 I have talked about the history of Orsanmichele in this earlier post so I won't repeat myself. 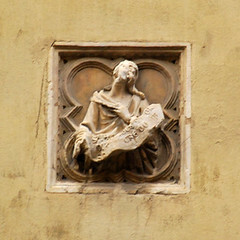 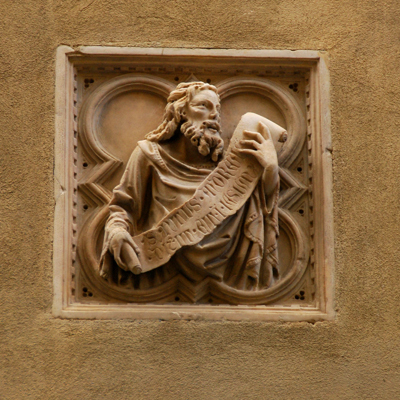 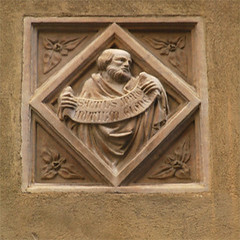 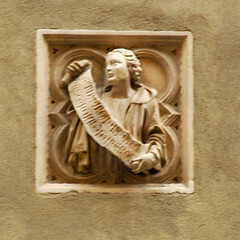 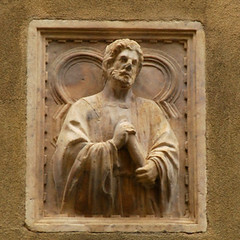 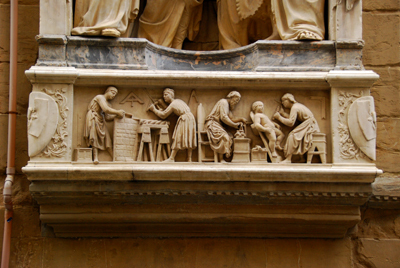 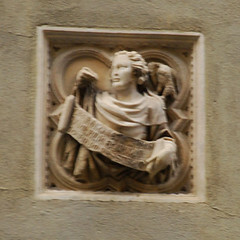 St. Philip (1412-1414) by Nanni di Banco, commissioned by the Calzaiuoli, the Shoemaker's Guild. 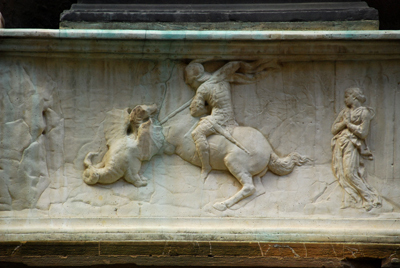 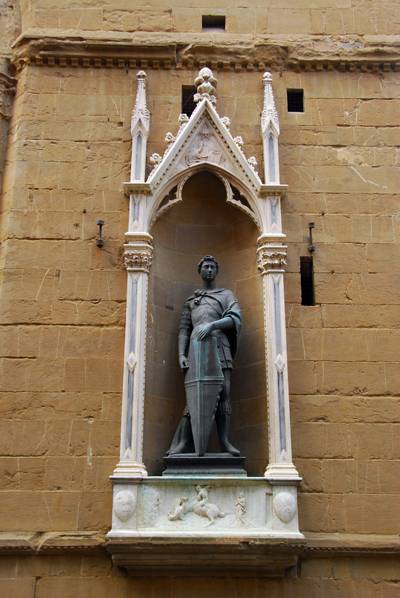 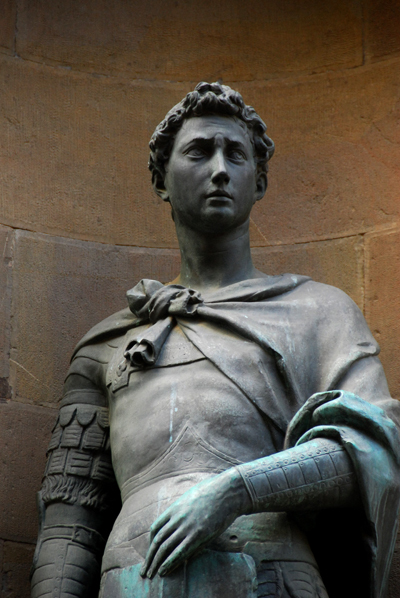 St. George (1415-17) by Donatello - commisioned by the Armourers & Swordmarkers Guild (Arte dei Corazzai e Spadal). 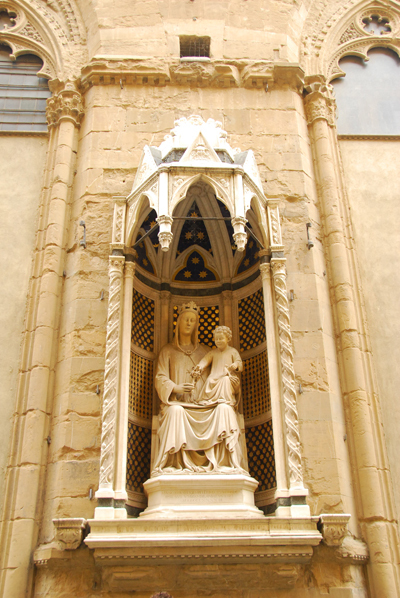 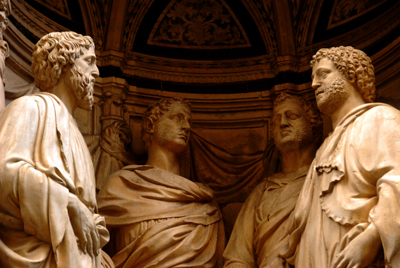 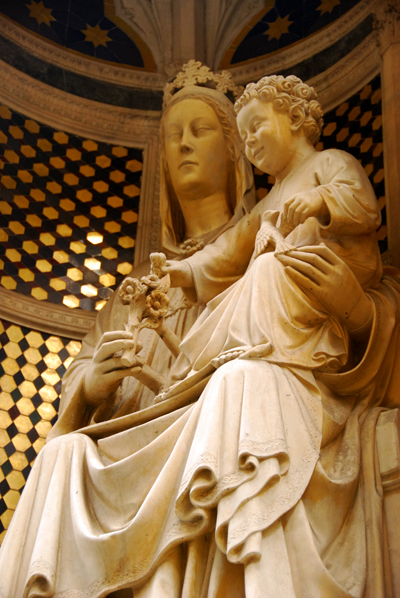 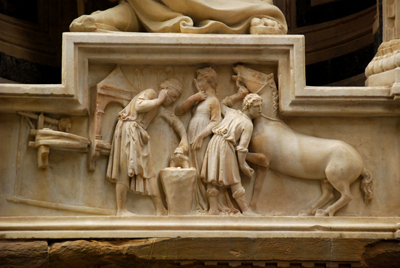 The original is in marble and was moved to the Bargello Museum in 1892 and was replaced with a bronze copy. 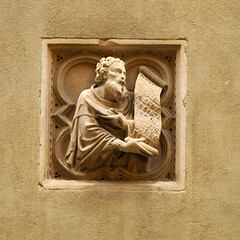 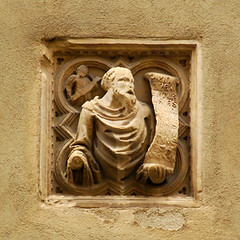 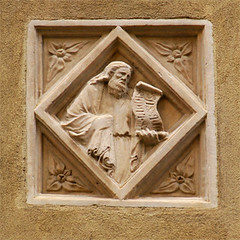 St. Jacob - St. James the Elder (1422) by Lamberti - commissioned by the Furriers, Arte dei Pellicciai. 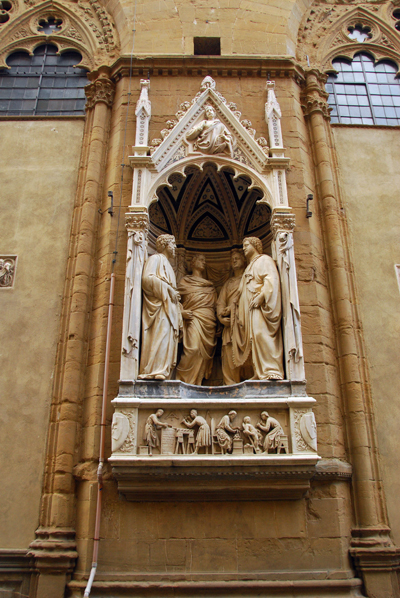 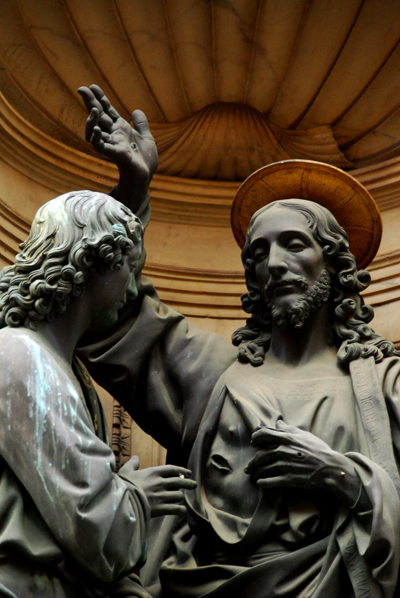 Christ and St. Thomas (1467-83) by Andrea del Verrocchio - commissioned by the Merchants Guild, Tribunale di Mercanzia. 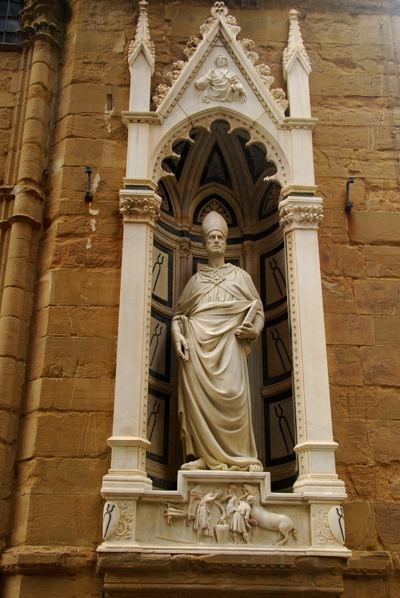 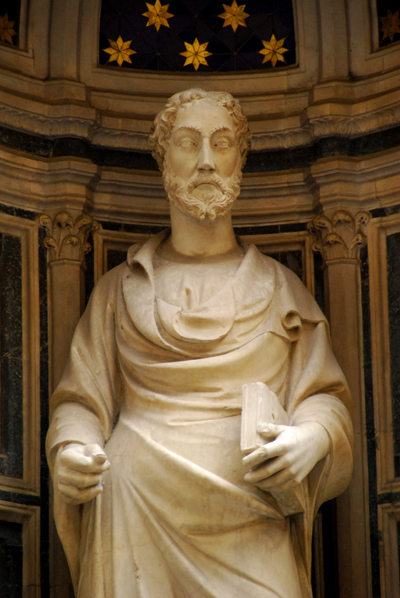 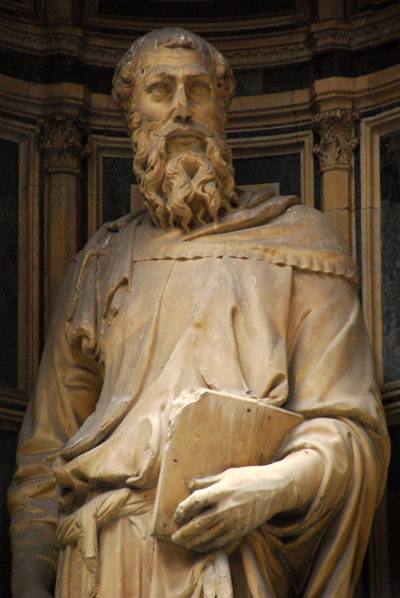 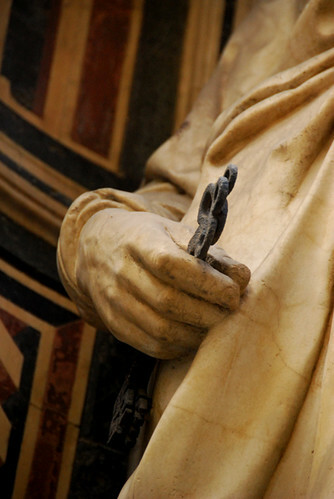 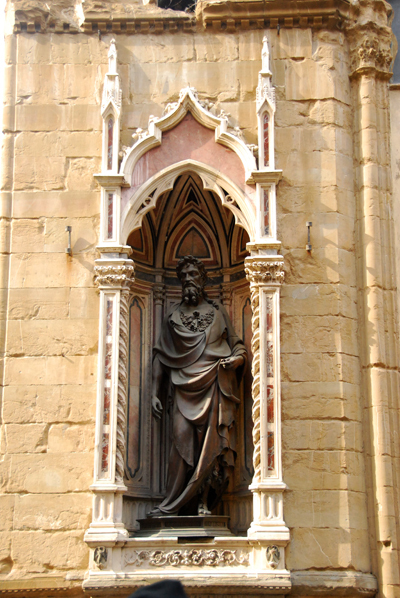 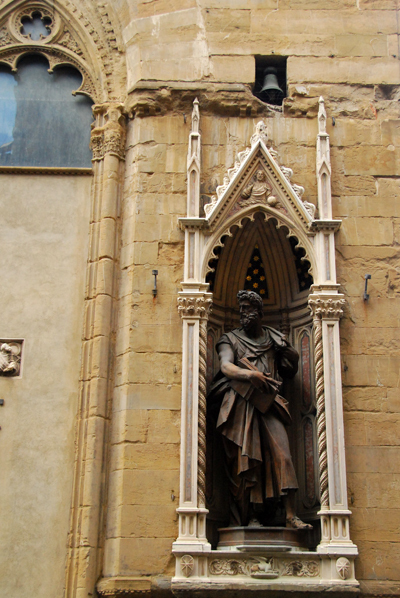 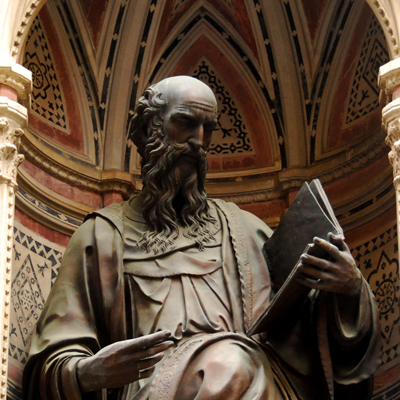 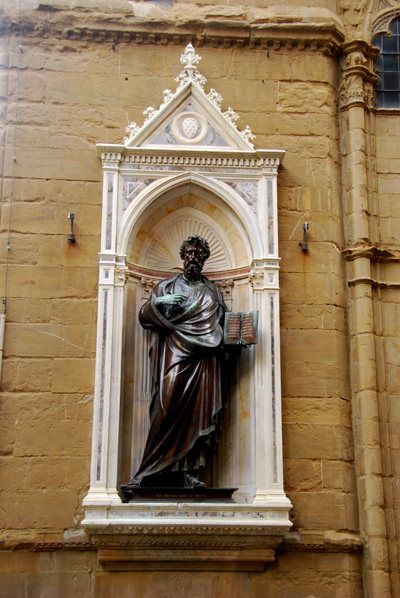 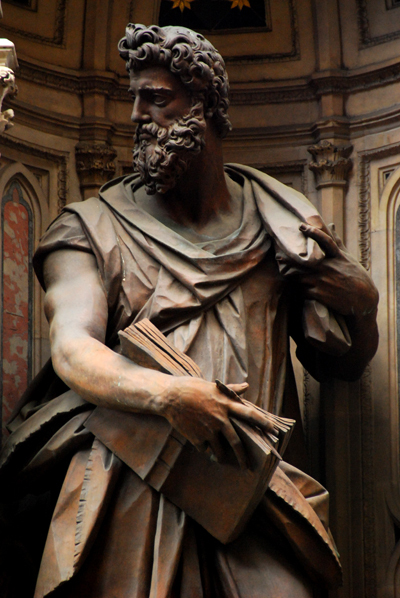 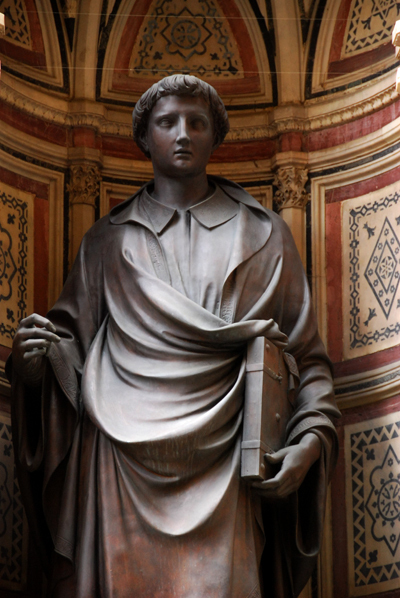 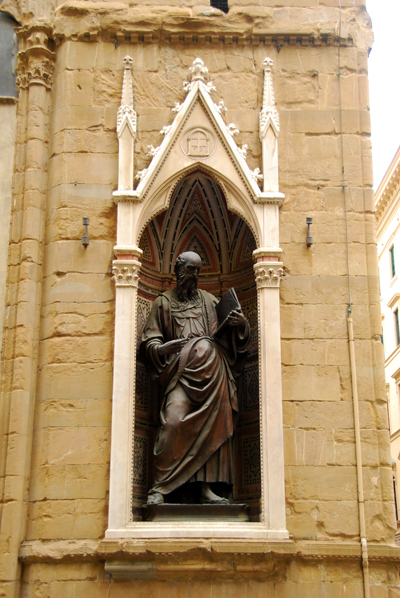 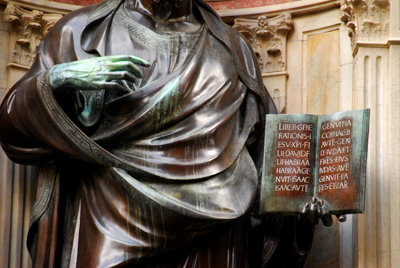 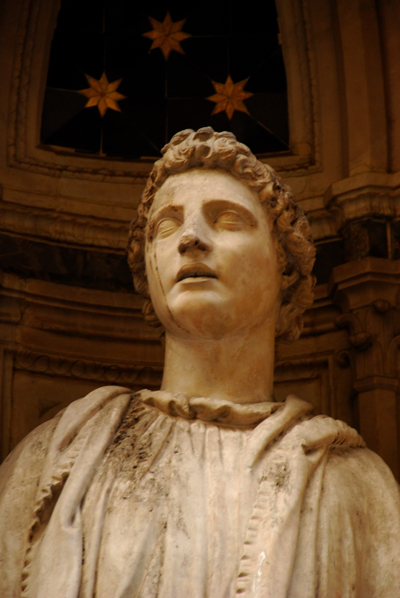 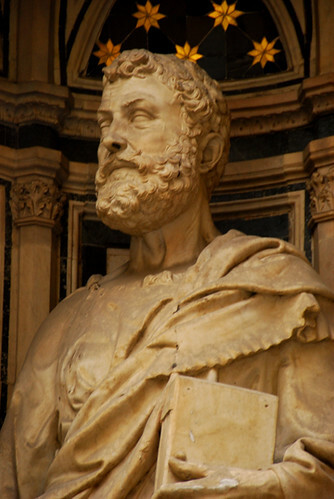 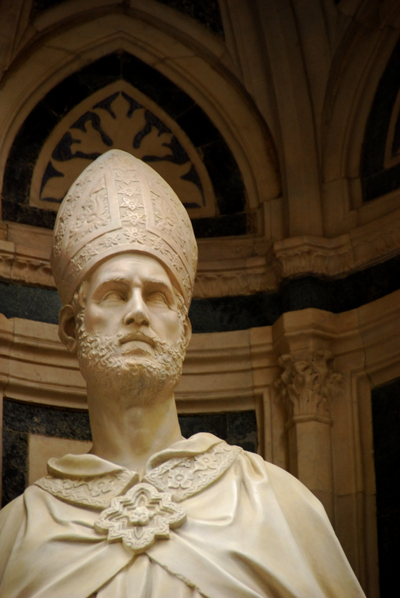 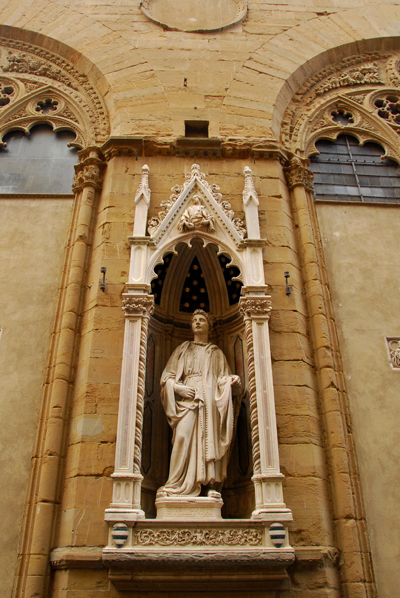 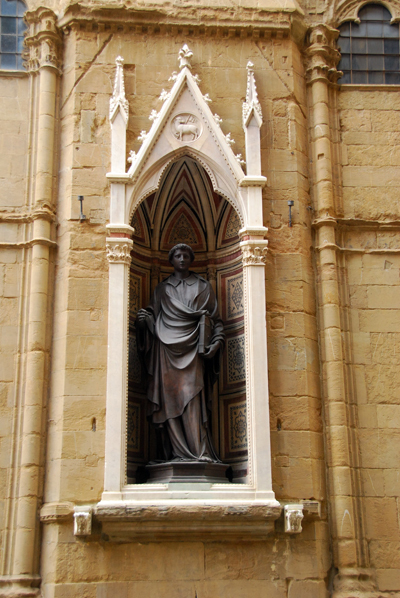 This statue replaced Donatello's St. Louis of Toulouse which is housed at the Museo dell'Opera di Santa Croce in Florence. 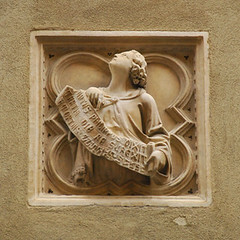 I did find the post office, though I didn't expect it to be in such a large building so I'll toddle off tomorrow to find out about the mbag.